FULL METAL SERVICE » New FMS band: Pulvis Et Umbra! New FMS band: Pulvis Et Umbra! 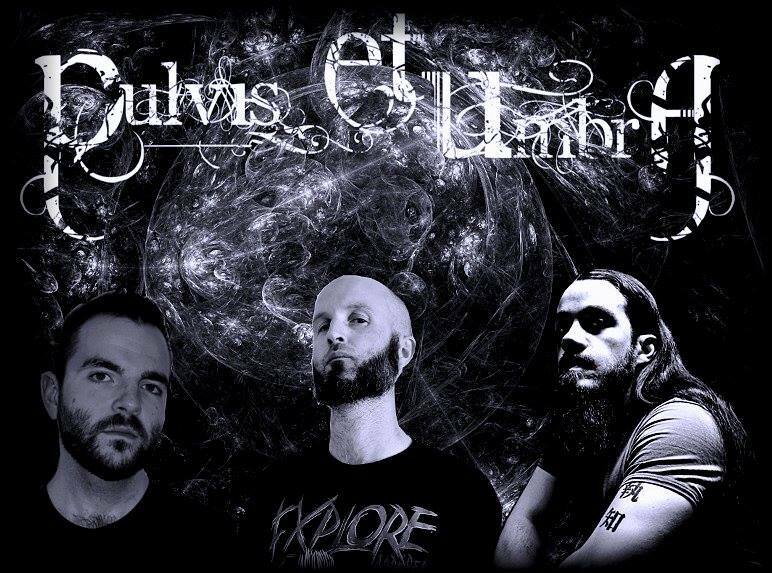 Another italian band Pulvis Et Umbra joined FMS roster. Pulvis Et Umbra are an Italian death/thrash metal band formed in late 2002 by guitarist Damy Mojitodka. After some line-up changes the band recorded own first EP ‘Qui Valet Hic Mundus, Quid Gloria, Quidve Triumphus Post Miserum Fonus’ during 2006. Less than one year later Pulvis Et Umbra recorded a second EP title ‘Pure Longobard Noize’; thanks to a new line up the band toured from 2008 up to 2010 during all northern Italy, Slovakia, Austria and Switzerland sharing the stage with band like Blood Tsunami (nor), Suburban Terrorist (sk), Chemotherapy (sk), Cadaveric Crematorium (ita), Septycal Gorge (ita) and many more. Pulvis et Umbra started the recording session of the first full length ‘Reaching The End’ during 2011; the album – originally distributed by Rising Records / Plastichead – was then distribute by Abwesend Records / Gordeon Music and scored good reviews on Gryphonmetal (ch), Skullbanger (fin) , Possessed (de), Eraskor (ita), Interstella magazine (ita), Alone music (ita) Noizz webzine (spain) , Tempi Dispari (ita) plus other ones. The band turned into a one man stand metal project in may 2013 when founder member / guitarist Damy Mojitodka started to work on new songs. He started to record the new full length ‘Implosion Of Pain’ close to the end of 2013 and the album was done in may 2014. Thanks to the release of official clip for ‘Implosion Of Pain’ (streamed on channels such as BLANK Tv, MUZU Tv, SNACK Tv -de-, VIDEO STREAMING ORANGE -fr-, PANDORA tv -japan-, Best Video YOUTUBE, IN THE FAME, OVGuide -california- , INDIA Today , VIMEO, Army Of One TV, VEVO Clips, Yahoo music etc) Pulvis Et Umbra was feat. as ‘band of the day/month’ on LOUD N LOADED promotion (us), INTERSTELLA Magazine (ita) and THE MOSHVILLE Times (uk) while on july 2014 Mark Nawara from PAVEMENT Entertainment (Soil, Tantric, The Charm The Fury, The Veer Union, The Reistance, Romantic Rebel, Future Leaders Of The World etc …) welcome PULVIS ET UMBRA into the roster of their Artist Partnership; official release date for ‘Implosion Of Pain’ schedule for September 23, 2014. Distribution partners are REDMUSIC (Sony), Soulfood entertainment and Plastichead. Komentari isključeni za New FMS band: Pulvis Et Umbra! ← Eosphorus joined FMS Roster!